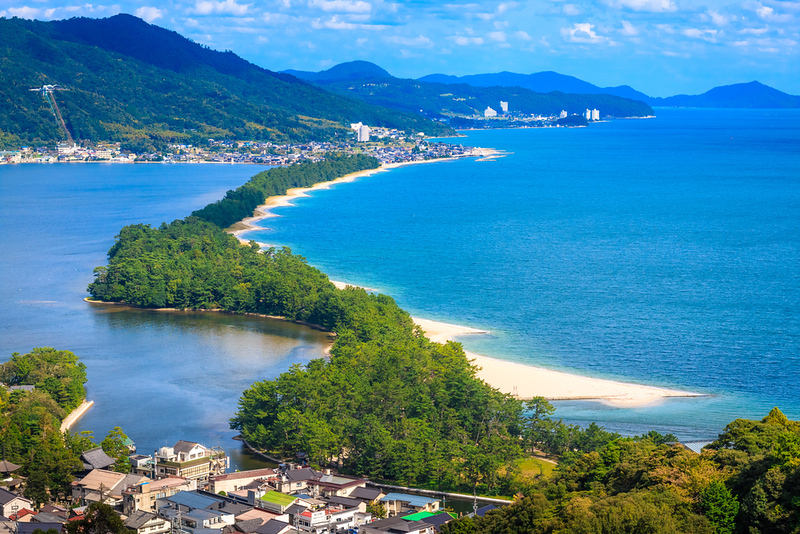 The Tango-hanto Peninsula, about two hours north of Kyoto City, is a beautiful unspoiled destination with onsen (hot springs), beaches and stunning coastal scenery. 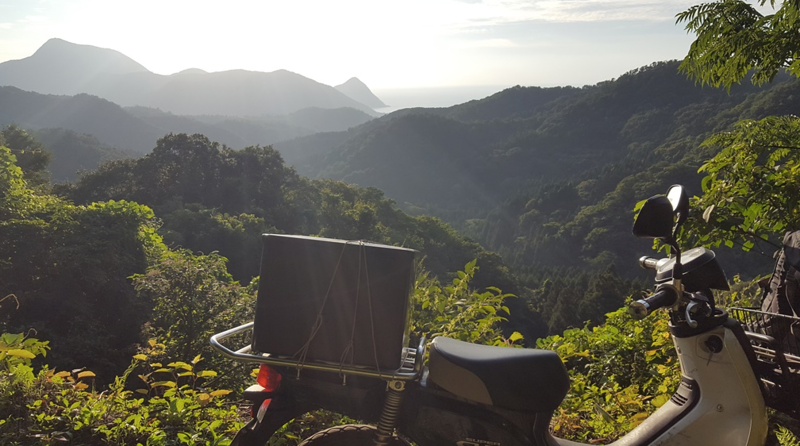 It’s the perfect place to enjoy rural Japan without the crowds. Here is our full Tango guide and map. 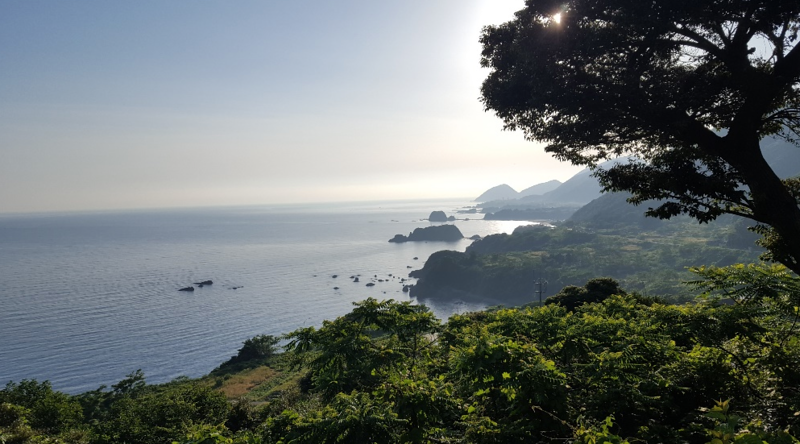 Located at the far northern end of Kyoto Prefecture, the Tango-hanto Peninsula (“hanto” is the Japanese word for “peninsula”) extends about 20km into the Sea of Japan. It’s a favorite destination of expats in Kyoto, but it’s almost completely ignored by foreign tourists to Japan. The coastline of the peninsula is a series of excellent sand beaches punctuated by rocky points and capes. The interior of the peninsula is a patchwork of tiny farming villages and forested mountains, traversed by narrow, winding roads. Thus, for those in search of unspoiled rural Japan, the Tango-hanto is highly recommended. 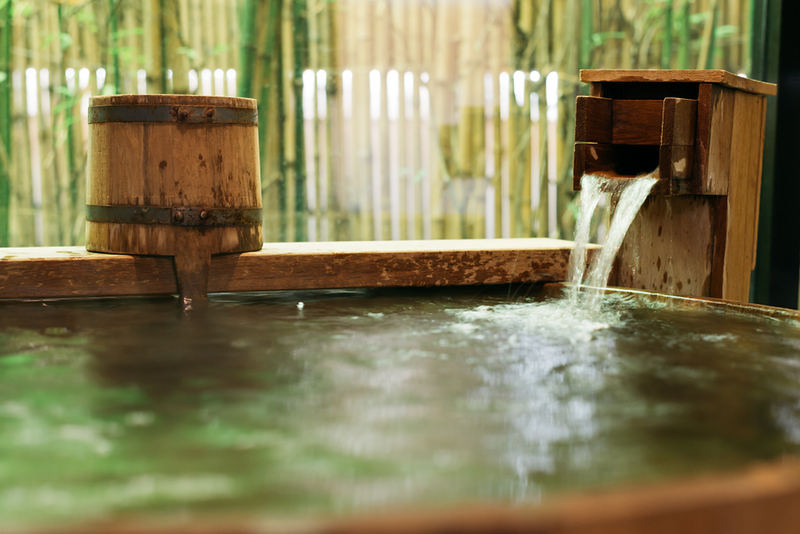 Oh, and did we mention the great onsen? JR trains will get you to towns on either side of the peninsula (Tooyoka, Kinosaki and Maizuru) and buses make their slow way around the coast. But, if you’re really going to enjoy Tango, you need to rent a car and explore it under your own steam. See the Tango transport section later on this page for full details. You can visit Tango any time of year. In summer, it’s often cooler than the big cities of Kansai, especially on the coast. In winter, there’s always the danger of a heavy snowfall (the area is famous for it), so check forecasts carefully. All the places mentioned in this article are shown on the Tango map (later in this article). 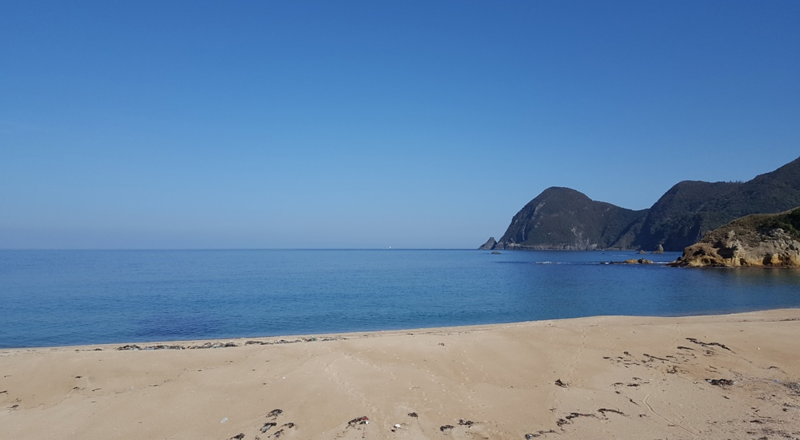 Kotobiki-hama Beach: On the west end of the peninsula, not far from the town of Amino, this beautiful stretch of beach boasts clean sand and a wonderful no-smoking policy, which keeps the beach free of cigarette butts. At the far west end of the beach, beyond the point, is an excellent open-air onsen that is usually open from March to November. There’s a campground above the beach. 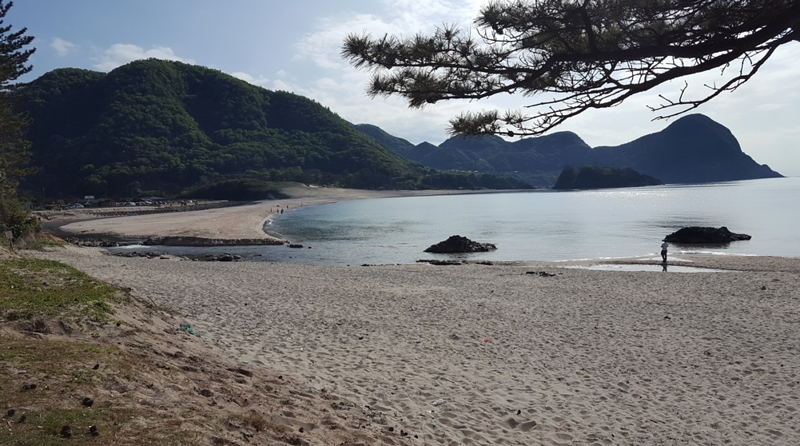 Takashima (Hei) Beach: Near the village of Ukawa, Takashima Beach (commonly known as Hei Beach) is another fine beach. It’s very close to Ukawa Onsen Yoshino-no-Sato, and a beach/onsen combination makes for a great day out. Takano Beach: Not far from the tiny settlement of Taiza, Takano Beach is another great beach, mostly frequented by locals. It boasts a great view of Cape Inu-ga-Misaki. 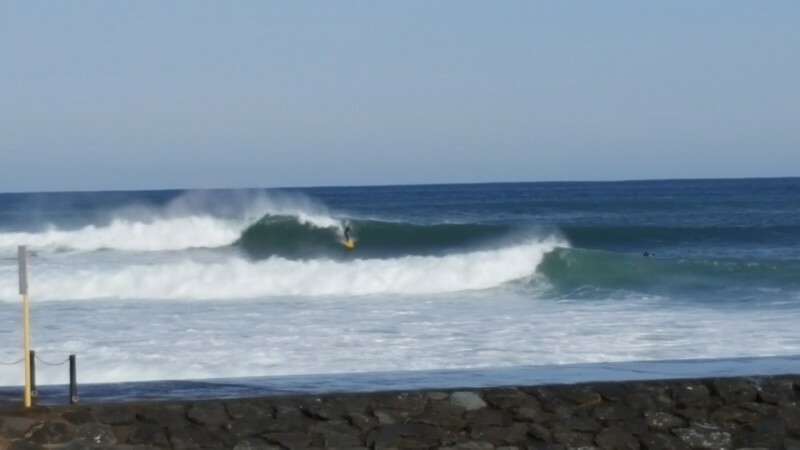 Hacho-hama Beach: The main beach at Amino Town, this beach is popular with local surfers and has some fairly decent waves from time to time (see the picture below). It can get pretty crowded on good days. Located in a beautiful little fishing village with views over the ocean, this vacation rental is the perfect base for enjoying Tango. The Kiwi-Australian owners can tell you the best spots to swim, explore and eat. You can choose between a large Japanese-style house with room for families, or a more casual bungalow with three units that can be combined to suit larger groups. This lovely hillside ryokan offers spacious rooms, wonderful food and excellent views over the ocean. It’s close to both Kotobiki-hama Beach and Takano Beach. 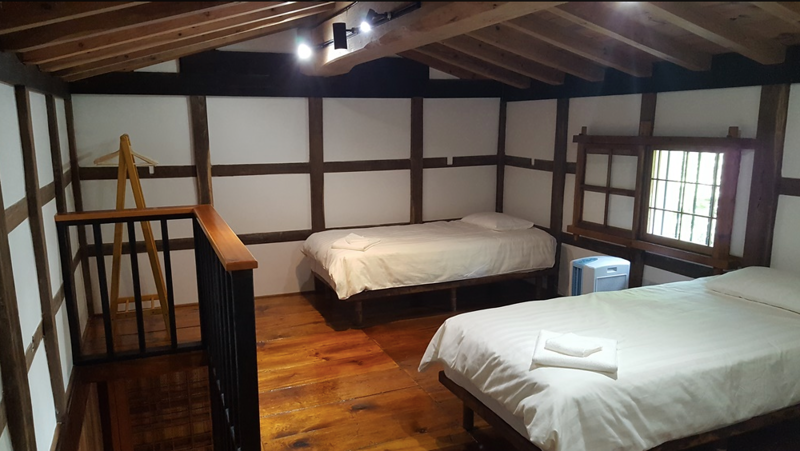 Located in the city of Miyazu, at the eastern base of the peninsula, this charming vacation rental is situated in the center of the “old town“. It is just around the corner from some nationally famous restaurants, as well as atmospheric, photogenic, and traditional shrines and temples such as the hidden gem of Sakurayama Tenmangu. Miyazu town is also famous for high-quality fresh seafood, and it is home to the oldest Catholic church in Japan. Easy access to the famous land bridge of Amanohashidate, and interesting seasonal activities all year round. Sakara Miyazu would be a great base for exploring the area. At the west end of Kobobiki-hama Beach, this simple car camp ground has a bathroom, cooking area and access to a nearby outdoor free onsen (on the beach). There is no website or phone. You just have to show up. 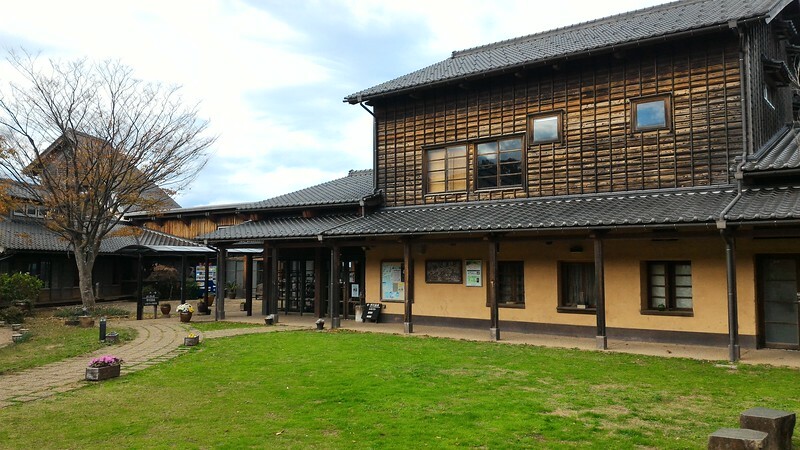 Ukawa Onsen Yoshino-no-Sato: This excellent onsen sits on a hilltop with magnificent views over the ocean. It’s got spacious indoor and outdoor baths, as well as great saunas. There’s also a restaurant and some simple accommodations. It’s very close to Takashima (Hei) Beach. Yasaka Ashiginu Onsen: In the town of Yasaka, in the interior of the peninsula, this large onsen has a variety of good baths. It’s not as appealing as Yoshino-no-Sato (above), but it’s good for a quick soak if you’re in the area. There is no English website. It’s closed Wednesday. Also, as mentioned above, there’s a free outdoor onsen at the west end of Kotobiki-hama Beach. 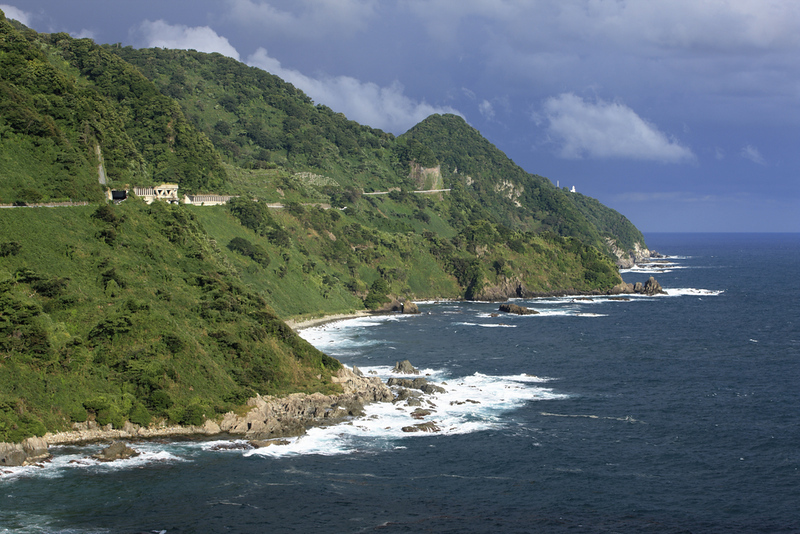 Cape Kyoga-misaki: This cape is the northernmost point of Tango-hanto (and Kyoto Prefecture). It offers good views up and down the coast. There’s a parking lot off the main road. You can walk out to the lighthouse via a short footpath. 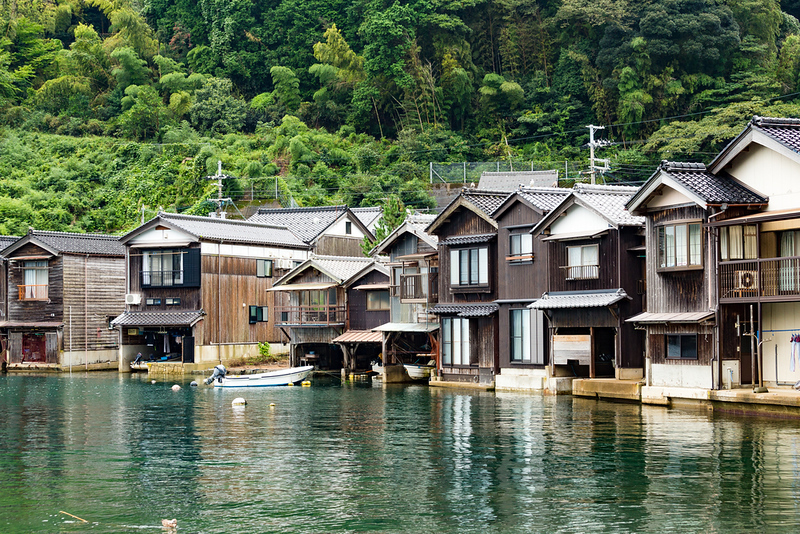 Ine “Boathouse Village”: On the east coast of the peninsula, not far north of Miyazu and Amanohashidate, this is a village of houses built around a semi-circular bay. It’s notable because many of the houses are “funaya” or boathouses, with boat bays on their first floors, so the fisherman could sail their boats right out of their houses. There are sightseeing boats that will take you around the bay. To be honest, there’s not much to do here and once you see the houses, you might find yourself asking, “Now what?” Still, it’s worth a quick look. Amanohashidate: This sight is not actually on the peninsula; it’s a few kilometers east. It’s a sand spit with some trees that connects two sides of a bay. The Japanese make a big deal about it and it’s surrounded by the usual tourist developments. Frankly, we’ve always been underwhelmed. Still, it might be worth a quick look if you’re passing through. There are fast express trains to towns on either side of the peninsula. 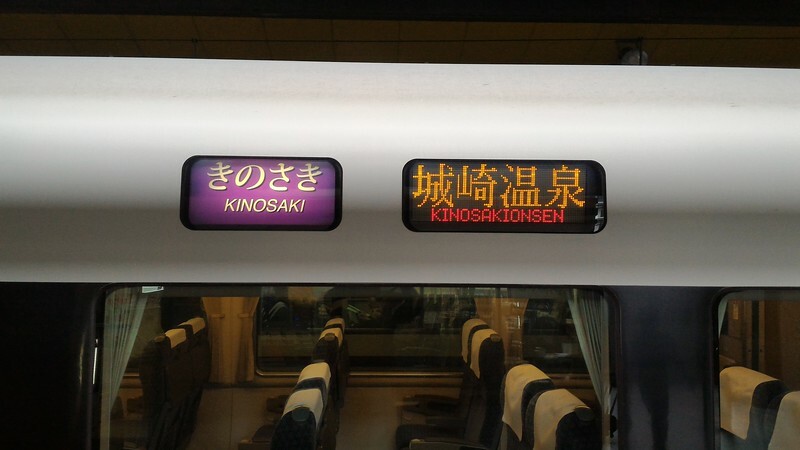 The JR Kinosaki-go limited express runs from Kyoto to Toyooka and Kinosaki on the west side. The JR Hashidate limited express runs from Kyoto to Miyazu, Amanohashidate and Maizuru on the east side. There’s also a small private train line, the Kyotango Railway, which crosses the interior of the peninsula from Toyooka to Nishi-Maizuru. It’s not that useful for getting around, but it’s quite scenic. You can use a Japan Rail Pass for these journeys. Slow buses make their way around the coastal roads of the peninsula. But, if you’re going to enjoy yourself, you need the freedom of a rental car. You can rent one in Kyoto City and drive north to Tango in a bit over two hours. 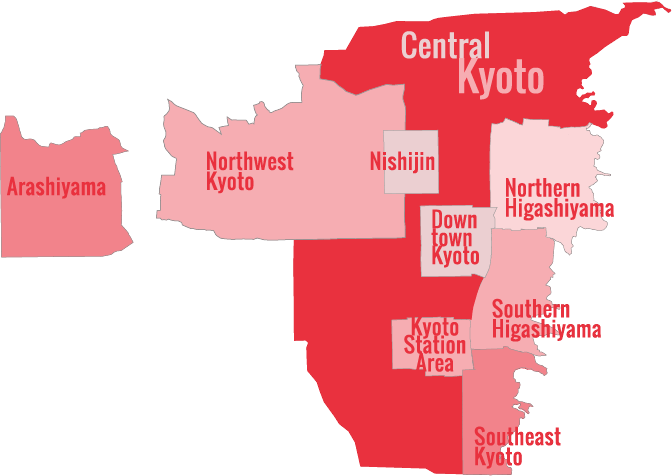 If you don’t feel like driving all that way, you can take the train to Toyooka or Nishi-Maizuru and rent one there. Toyota Rentacar has rental offices in both locations. You can pick up in one location and drop off in another. You can reserve online in English and they can set the car navigation system to English. One good option would be to take the train up to Kinosaki and enjoy the onsens there for a night or two. Then, take the train two stops south to Toyooka and rent a car there. Then spend a few days exploring Tango before dropping the car off in Toyooka or Nishi-Maizuru, and taking the train south to Kyoto.